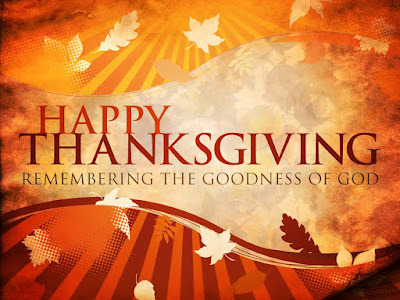 On this Thanksgiving weekend I was trying to find some appropriate classical music giving thanks for all the blessings we have received. I found this great web post from WQXR in New York entitled: "Top Five Expressions of Thanks in Classical Music". They have come up with five great pieces expressing thanks and appropriate for Thanksgiving: 1. Beethoven's String Quartet No. 15, Op. 132 Adagio; 2. Ives' Holiday Symphony; 3. Bach's Cantata "He who offers thanks praises me"; 4. Humperdinck’s Hansel and Gretel - Chorus of Thanksgiving and 5. Monteverdi’s Mass for Thanksgiving. Tales would like to concentrate on three of those pieces for this Tales classical music Thanksgiving Weekend special: Beethoven's String Quartet No. 15; Bach's Cantata "He who offers thanks praises me. "; and Charles Ives' "Holidays Symphony". From the WQXR website: "Beethoven’s works are often examined through highly biographical perspectives, and the Adagio from String Quartet No. 15, also under the title “A Sacred Hymn of Thanksgiving from a Convalescent to a Deity, in the Lydian Mode,” provides one such example. While composing the quartet, Beethoven fell gravely ill from intestinal distress. He nursed himself back to health on a restrictive diet, though he would die two years later. The slow movement manifests his return to health, starting in minor and miraculously shifting to major." Also from the website: "It’s no surprise that J.S. Bach makes our list with Cantata BWV 17 “He who offers thanks praises me.” The work begins with a glorious fugue sung by a chorus. The voices and instruments continually grow in strength and complexity with each repetition of the title phrase, weaving together a spiritually uplifting and sincere message." The article goes on to say, "The work was intended for the 14th Sunday after the Trinity, but it would be a welcome accompaniment for any Thanksgiving table". 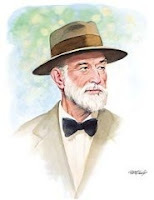 Also from the web site: "The culmination of Charles Ives’ Holidays Symphony is the Thanksgiving and Forefather’s Day movement, which describes the Pilgrims' fraught adventure across the Atlantic Ocean, their struggle in settling in New World, and their fortitude of character in surviving. It then segues into a New England celebration with a round of traditional hymns." Please turn up the volume and enjoy some beautiful music expressing thanks on this Tales Classical Music Weekend Special.